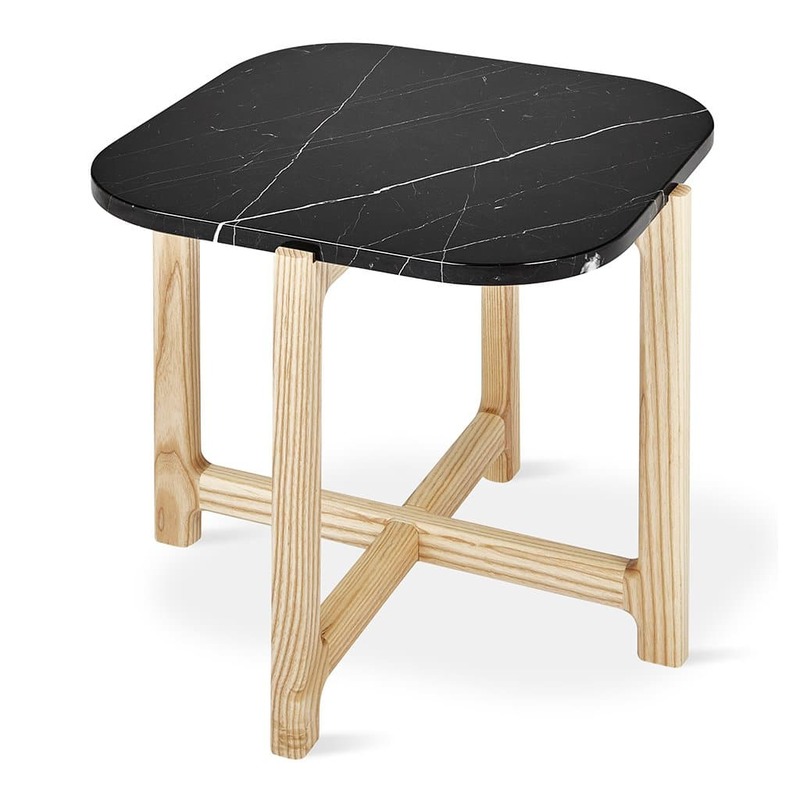 The Quarry End Table is a minimalist take on casual sophistication, designed to showcase the beauty of natural marble and wood grain. 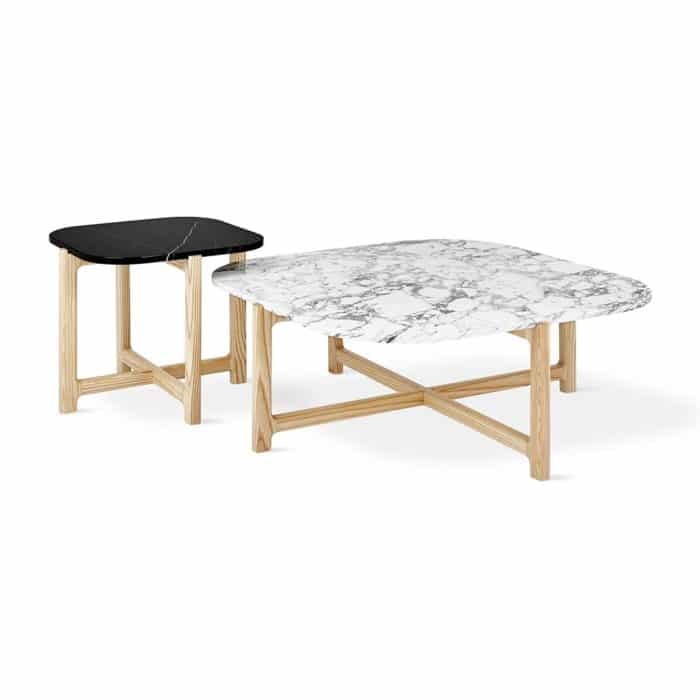 The thick marble top has rounded corners to soften the look, and a solid-wood cross base reinforces this aesthetic with rounded edges and elegant joinery details. 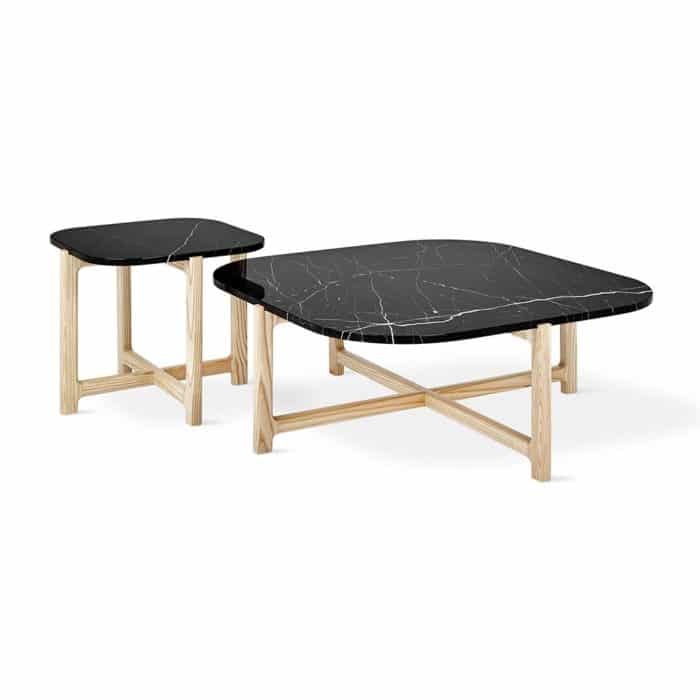 Available in a choice of four colours, each marble top has unique, natural veining which make each table a one-of-a-kind. 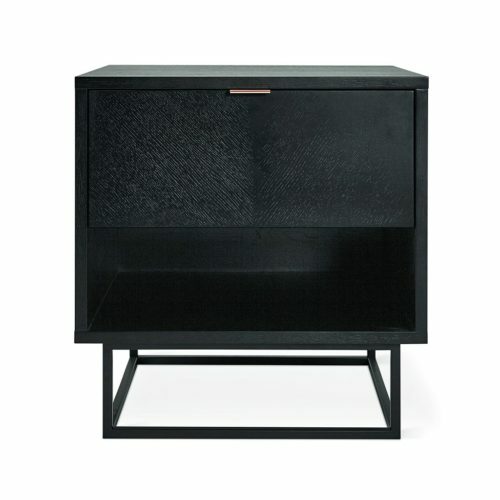 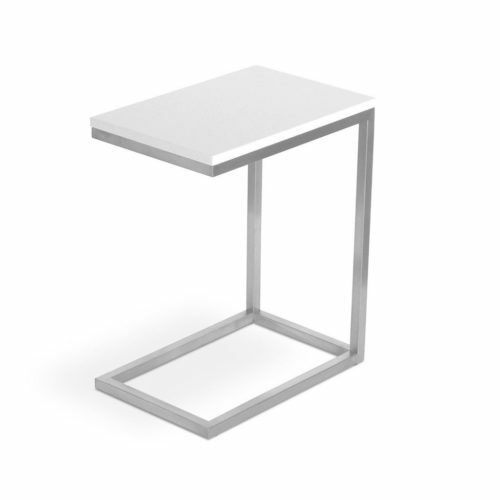 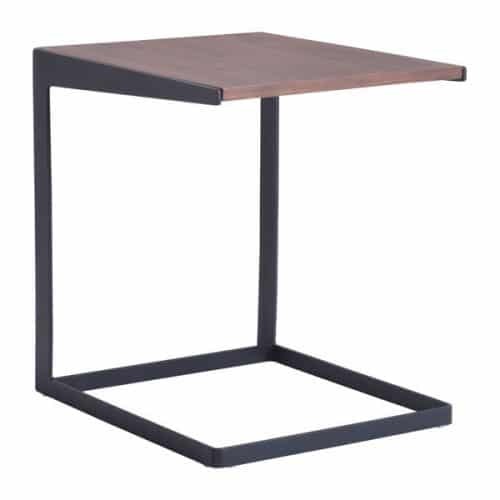 The Quarry End Table can be displayed alone, or nested with the Quarry Coffee Table. 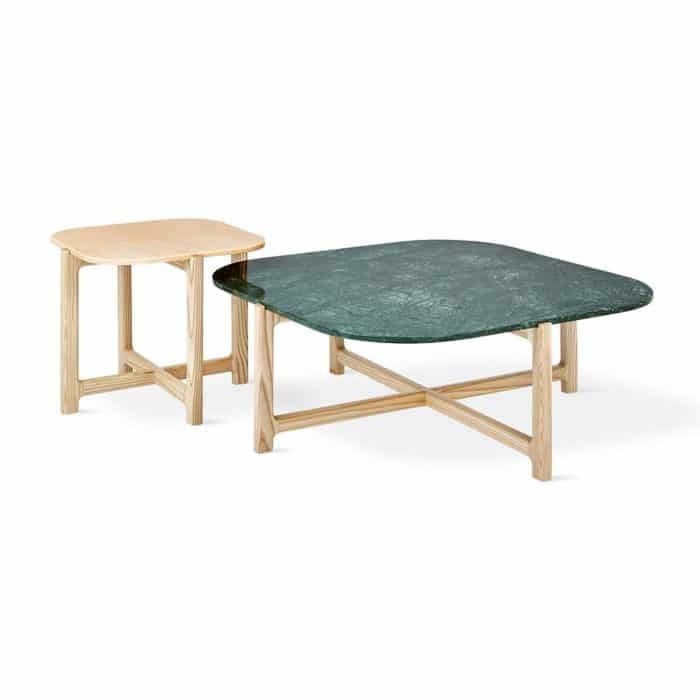 Base is kiln-dried 100% FSC® Certified hardwood. 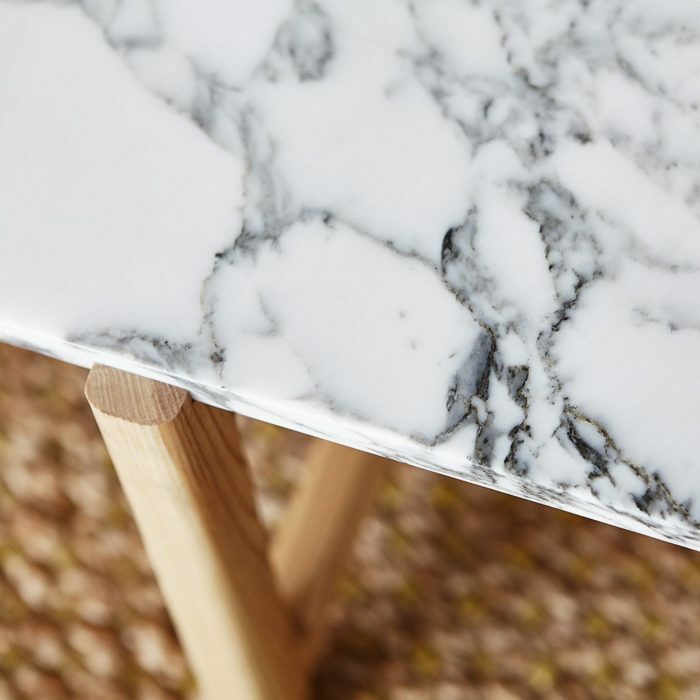 Each marble tabletop has unique, natural veining. Natural ash base has rubber padded inserts to secure the marble tabletop. 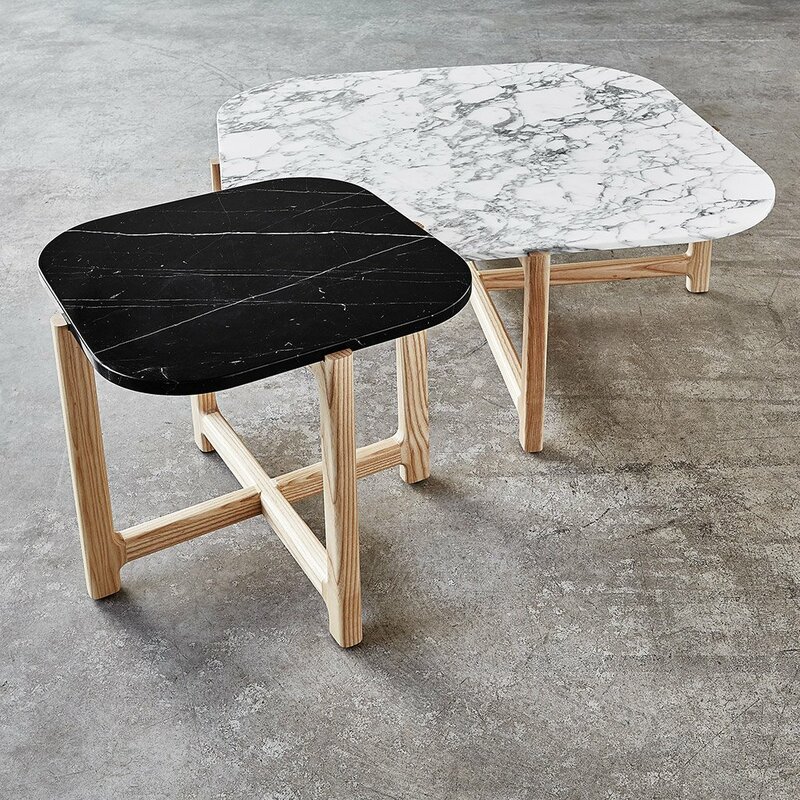 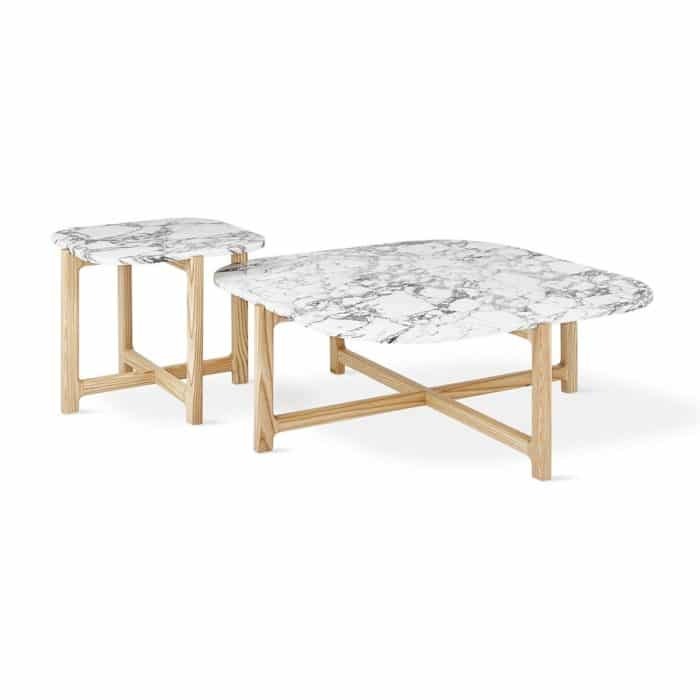 Rounded marble corners and beveled frame softens the table’s edges. Plastic bumpers on base to prevent damage to hardwood floors.